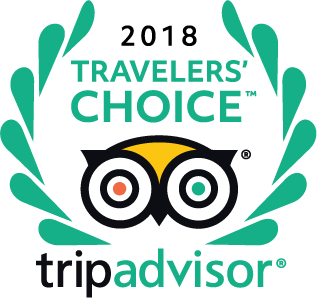 TRANSPORT ONLY: It is included ONLY the coach transportation from Florence to Cinque Terre and back on the same day. Explore the five idyllic fishing village’s of Italy’s UNESCO-listed Cinque Terre on this hiking tour departing from Florence. This hassle-free adventure includes entry to the national park. 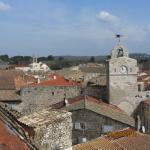 You’ll visit areas inaccessible by car, hear from your guide about each town and enjoy a moderately challenging hike. Your journey begins with a coach ride from Florence to Manarola, where your 3.4-mile (5.5-kilometer) hike begins. 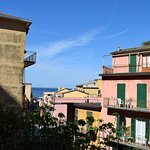 Follow a scenic trail that stretches through all five of the Cinque Terre’s UNESCO-listed fishing villages, hearing from your guide about points of interest along the way. 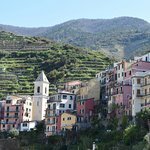 Hike along cliffside trails in Corniglia, pass terraces of olive groves and cafes in Vernazza, and refresh tired feet during a swim stop in a bay. 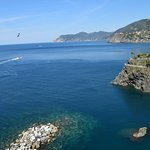 Then, take the train to Monterosso, where you’ll have free time to explore the beaches and artisan shops typical of the village. The tour culminates with a boat ride along the Italian Riviera to colorful Riomaggiore. From here, you’ll hike to Manarola and relax during the coach ride back to Florence. Marty was a fantastic guide and the day was full of sights and activities. The tour also makes life easy as all you need to do is turn up at the train station and you have a full day ahead with instruction all the way. Get quick answers from Cinque Terre Hiking Day Trip from Florence staff and past visitors. We are considering this day trip from Florence, but my husband is afraid of heights. For example, we got about 1/3 the way on The Pathway of the Gods on the Amalfi Coast, and we had to turn back. Are the trails very narrow, and close to drop offs on cliffs? If the paths are wide enough and he doesn't have to walk along the edge, or if there are hand/guard rails, he'd be ok... Thanks. The trails are narrow and in certain spots close to the edge. There are no rails on most of the trail. I found it pretty strenuous but a lot of fun. Hi, my sister and I are traveling to Italy in February and will be in Florence from the 16-18 will you have any availability for tours then? It doesn’t let me pick anything on the calendar for those dates which is why I’m asking. Is this tour safe for someone who is 6 months pregnant? 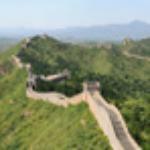 The walk is undulating, a lot of steps at beginning, the tracks are single file in a lot of places, so bear that in mind.